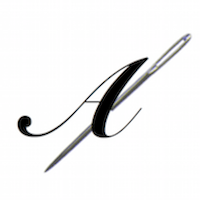 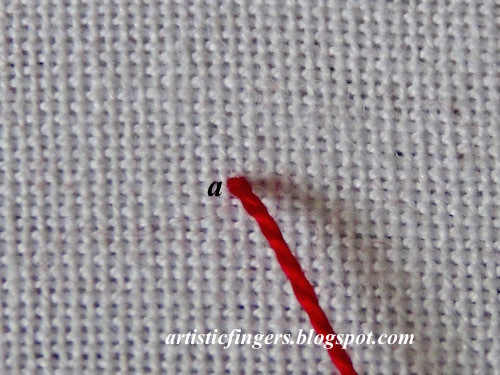 Step – 1 : Bring the needle and thread up at 'a'. Step – 2 : Go down at 'b' and come up at 'c'. 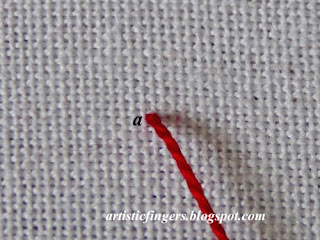 Step – 3 : Pass the needle under the diagonal stitch formed in step 2 from left to right as shown. 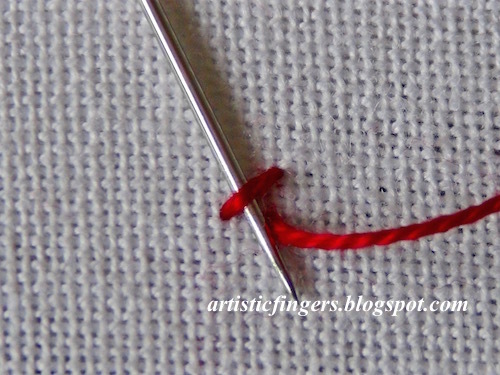 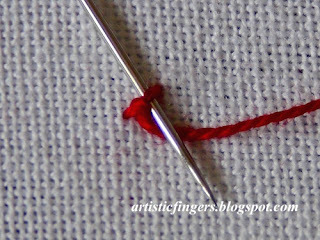 Step – 4 : Pass the needle under the diagonal stitch once again keeping the working thread under the needle and pull. 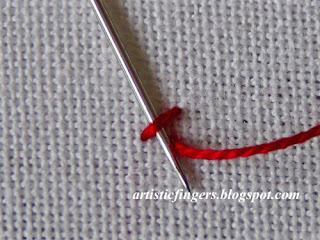 Step – 5 : Go back down at 'd'. 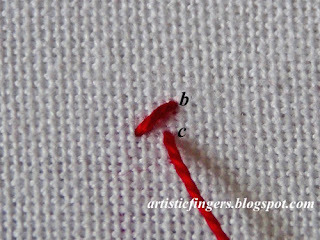 Step – 6 : A squared palestrina stitch is made. 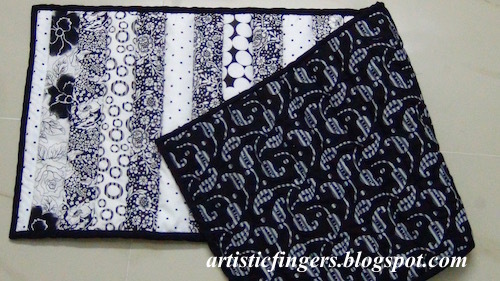 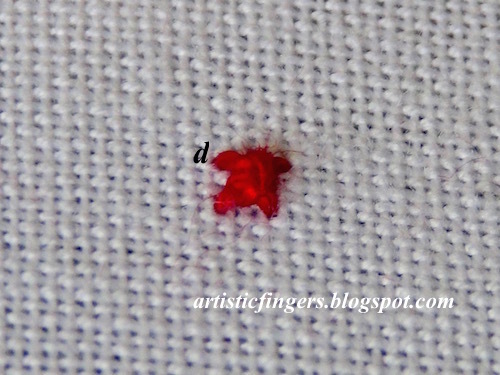 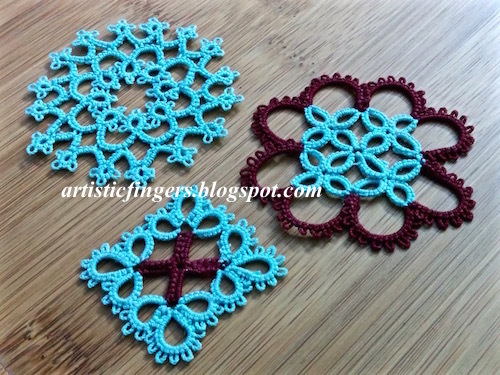 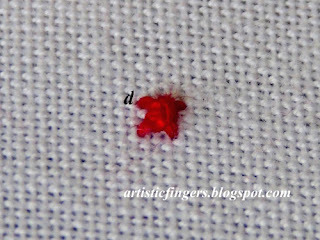 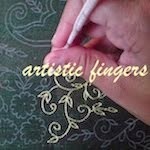 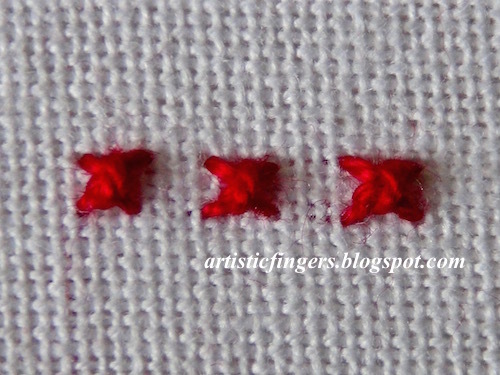 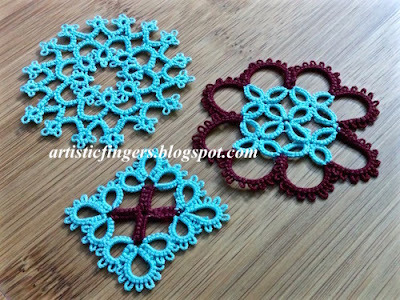 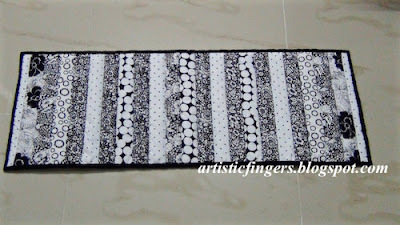 This stitch can be used as an isolated stitch or for filling.If I want to replace french knots in my designs then I always go for this stitch and it works pretty well. 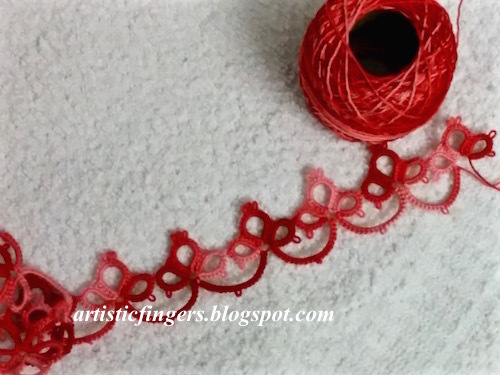 I had spent most of the evenings in April/May to tat 10 meters lace with #20 thread...My wonderful seamstress friend was very happy to receive it.